One of the things I've been doing lately with the airplane data I'm collection with my RTL SDR is come up with better estimates for how much coverage and range I get in my local area. While you can easily estimate range just by watching dump1090's map output, you really have to look at a whole day's worth of data or more to get a good idea of what you can see. It's also useful to come up with some numerical estimates of the coverage so you can compare one hardware setup to another. After dusting off geometric algorithms, I realized the right thing to do was clean the data a bit and then compute the area of a convex hull for the points. The SciPy spatial library for Python has a ConvexHull that makes this easy to do. 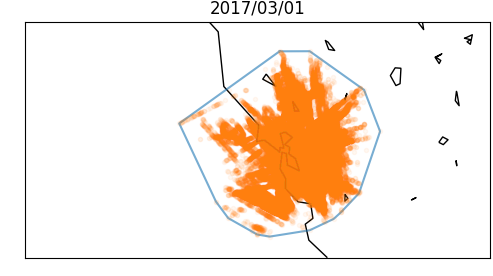 My airplane data is just a collection of geospatial points collected each day, so a good way to quantify my range would be to find a bounding shape for the points and compute the area. A bounding rectangle would be quick and easy, but inaccurate. I started thinking about algorithms to rotate a rectangle for a better fit, or recursively remove sections of it until it gave better coverage. Realizing that I was reinventing the wheel, I searched around for known solutions. A s/o answer pointed me to the gift wrapping algorithm, which builds a bounding polygon by comparing all remaining points and selecting the one that would maximize the new interior angle. It looked like it'd be fun to code up, but expensive to compute. Sigh.. Python's great, but it sure does take the fun out of everything. There was stil a good bit of other cleanup and map stuff I had to do to start making reasonable pictures. First, I had to throw out some bad data. I still get a lot of bad points, most likely because of transmission errors (or misconfigured transmitters?). I filtered everything out that's outside of a reasonable range (though this was tighter than it needed to be). The number of bad points in any day was 1.2% of the observed points (50% of the days had less than 0.01% bad data). For plotting I had to load in Basemap and do all the normal merc projection stuff. For something so fundamental, this always seems to take a lot longer than it should. In any case, the pictures look good when you finish. It's science fair time again and I've been looking around for something fun to do with the kids. 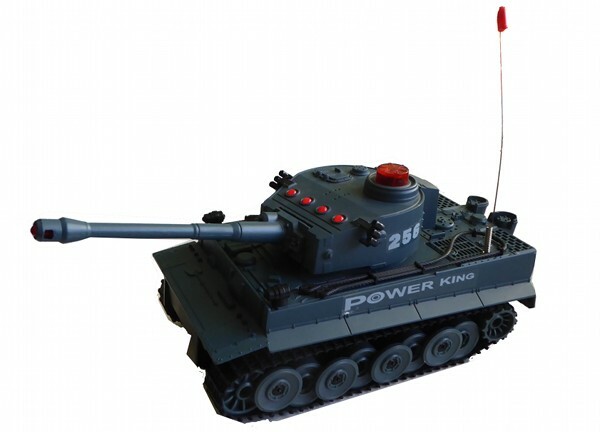 One of the projects we found online that my younger son liked was an experiment where you see what materials block the signal of a remote controlled (RC) device the most. We dug up an RC tank, forced the controller to the forward position, and then wrapped the controller in different materials. The results were anticlimactic, though. While the fabrics didn't have any effect, the tank didn't seem to be bothered much when the controller was wrapped in foil either. Science had failed us once again. The problem with the experiment I realized was that we were making a binary measurement: either the signal was blocked or it wasn't. What we needed was a way to get a better reading on how much the signal was being attenuated. It then occurred to me our RTL-SDR stick and Gqrx could do that for us. The back of the controller had a sticker with "40MHz" on it, which is within the RTL-SDR's tuning range. I launched Gqrx, pressed the up controller, and sure enough there was a strong signal at around 40MHz (with a harmonic at 41MHz). Success. We could see our enemy's signal. But could we block it? Louis and I used duct tape to anchor the antenna to my workbench and mark off a fixed distance of three feet for the test. We used a rubber band to jam the controller in the forward position and then wrapped the controller in different materials. We recorded the dBFS signal strength off Gqrx (maybe not the right value, but it was consistent enough for comparisons). I did my best to explain what dB's were to both Louis and my wife, but in the end "more negative means less tank signal" was all they needed to know. We tested 14 different scenarios. Most of the materials (wood, plastic, wax paper, rubber, paper, cardboard, and glass) didn't do anything to stop the tank's signal. Polar fleece and water had a noticeable effect. Metal did the best job of shutting the signal down. The water test was the most interesting one for us. 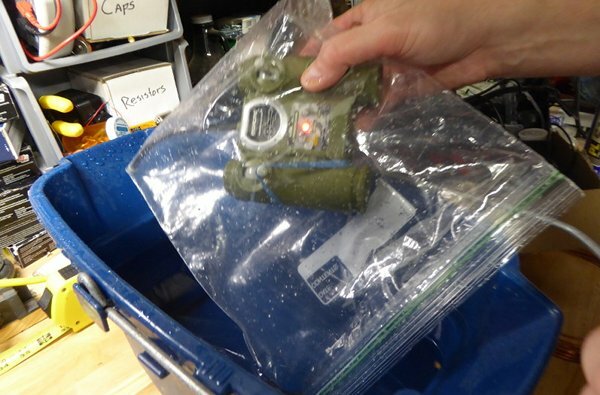 We wrapped the controller in a ziplock bag and then submerged it in a bucket of water. I had thought that water would completely block it, but we still saw some of the signal. When we reran the original binary experiment with the tank, we noticed that the controller's range was dramatically reduced and the tank would intermittently move. The project was a good opportunity to talk to Louis about Radio stations and how people transmit information wirelessly. I found I had to provide a lot of background about radio stations in general, since the kids get most of their media through the Internet these days. Taking a car ride over the hills (to Fry's) while listening to the radio ("see how the radio gets fuzzy on the other side of the hill?") helped Louis get a handle on it. After the experiment, he had a new appreciation for how NASA ran their own RC car on another planet. After reading more web pages, I took another step and ordered a 1MHz crystal so we could build a crude AM transmitter. The circuit is clever and easy: you just power the crystal with an audio signal, and hook a long wire to the output to serve as an antenna. I tuned our radio to 1000kHz AM, held the antennas a few inches away from each other, and sure enough, there was Rush's Spirit of Radio jumping the air gap. The rest of the project was slow writing and arts-and-crafts. Louis wrote up everything for the poster, and (we're told) was very chatty about radio signals when the reviewers came around to talk to him about his project. We now know how to stop the tank's signal. Now all we have to do is submerge the planet in water (already on it!) or start putting countries in big metal boxes. For the last few years, the majority of my time at work has gone into developing data-management services for high-performance computing (HPC). While we still have a ways to go before an official software release, we're starting to get performance numbers and have initial support for the Cray XC40's DataWarp NVMe array. I was asked to make a poster about our work and present it at an Exascale Computing Project (ECP) meeting that took place in Knoxville, Tennessee. ECP is a new, multi-laboratory effort in the US that is scaling scientific computing to new levels through advances in hardware, applications, and system software. The goal is to develop an exaflops computing platform in the US that can serve the HPC needs of multiple domains (eg, science, energy, manufacturing, and national security). The data-management software we've been writing for asynchronous, many task (AMT) programming models falls into the system software category, and could be adapted to fit other needs in ECP (eg, workflows, checkpointing, and analysis). Back in October I mentioned in an ADS-B logging post that I had mixed feelings about using the Intel Edison for my embedded projects. This December I decided to make the jump and switch over to the Raspberry Pi. I don't have anything to say about the Pi that hasn't already been said- this post is just to provide me with some closure on the Edison. 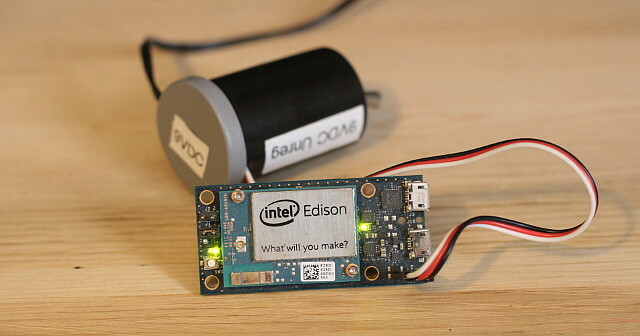 The Intel Edison had a lot going for it when it first came out. It featured a 32b x86 CPU, memory, flash, and wireless networking all on a tiny package for about $60. My first devkit had a socket for plugging in Arduino shields, which made it easy to use a lot of existing hardware and software. I bought a second Edison with a minimal breakout board so I could do low-power ADS-B monitoring. It looked like Intel was making smart moves to make a play in the emerging IoT market. And then... nothing. While the Intel Message boards had a good amount of chatter on them, the only follow-up hardware relating to Edison was some Sparkfun gear and an expensive senor kit/book from Intel. In retrospect, there were a number if missteps on the hardware front. The Edison's micro i/o bus made it difficult for users to get at GPIO on their own. x86 compatibility was a wash because you usually had to recompile code to 32b in order to get it to run on the Edison. USB ports were limited. Worst of all, Intel never followed up with better hardware. Add Edison to the long list of Intel efforts where Intel was going to throw its weight around and take over a market but didn't (Hadoop, High-end GPUs, enterprise storage, smartphones... realsense and omnipath aren't looking so great these days either). I did a few simple benchmarks to do a rough comparison between the boards. First I found and built a Monte Carlo program for computing Pi and let it run for 100M iterations. Using only a single core, the Edison and Pi3 took 52s and 19s respectively, making the Pi 2.7x faster. I started working on some multicore tests via OpenMP, but my Edison installation was missing libgomp and it didn't seem worth fixing. I also downloaded and ran ramspeed on the boards. 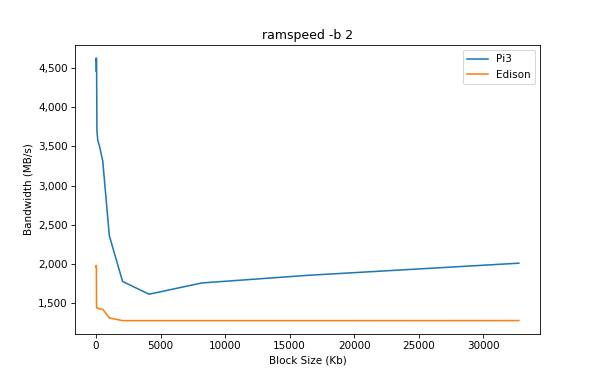 The pi's caches seem to be 2.2x faster, while memory was 20% to 50% faster. I hooked up the Pi3 to a few wall-socket power meters and took some preliminary readings. The meters said the Pi3 used about 1.7W when running headless with wireless (no usb, no hdmi). Launching 1-4 instances of the Pi program on the board raised the power to 2.2W, 2.7W, 3.2W, and 3.7W (thus 0.5W per active core). For comparison, the breakout board version of the Edison idles at 0.7W, and runs 1-2 instances of the Pi program at 0.9W and 1.1W (0.2W per active core). While the Pi3 uses 2.45x the power (per core) of the Edison, it's 2.7x faster and has a lot of I/O hardware ready for users. The Edison breakout board only has one mirco-usb port on it, which limits what you can do with it for projects. Upgrading to the Edison Arduino board to get more usb ports and more friendly pins eats more power. My empty Edison Arduino board used 2.4W while idle. Another feature I really like about the Pi is that it boots off a removable microsd card. This feaure means I can use create multiple microsd os images and boot the hardware differently by plugging in a different disk (similar to the Amigas of my youth). It's also useful to be able to work on the os image on a desktop (installing packages on an embedded box always takes forever). Most importantly though, you don't have to worry about bricking your device if an install goes bad. Upgrading the on-device OS image for the Edison was nerve racking because it was difficult to repair the board if an install went wrong. I didn't expect to use it, but the Pi's HDMI port has also been a source of fun. I hooked the HDMI up to the TV so I could do the inital network configuration. The display was faster and better looking than I expected, and I soon found myself taking a side trip into emulators via RetroPie. My family took an interest in the Pi when they realized we could plug multiple PS3 controllers into it and play Gauntlet. 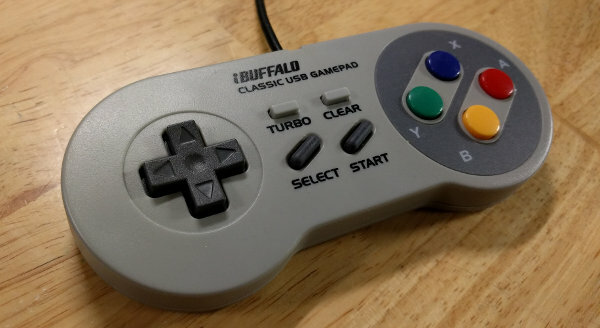 I wound up buying a Buffalo Classic USB Gamepad controller so we could get a more authentic-feeling SNES controller. At some point I'd like to revisit the emulation side of things and get the Amiga emulator configured right. I may also have to buy one of those X-Arcade Tankstick + Trackball controllers so I can show the kids the wonders of Centipede. Now that I've started working with the Pi I'm kicking myself for not moving towards it earlier. The boards are cheap enough I can use them for one-off projects around the house, and there's plenty of info out there on how to do things with the hardware. That may mean I'll never do anything original with the Pi, but it's certainly more fun to get a project working than it is to spend a lot of time figuring out a work around for a proprietary board's under-documented hardware. Sure enough, Intel announced that they were killing off their IoT business and shutting down Edison, Joule, and Galileo June 20th. A sad consequence of this decision was that on July 5th they announced layoffs for 140 people (100 here in Santa Clara, 40 in Ireland). The sad thing is that it wasn't like the hardware wasn't selling- Intel's IoT area generated $721 million in revenue for Q1, which would be astounding for anyone but Intel. Last year I wrote about how I built an ADS-B data logger to track planes using an RTL-SDR and an Intel Edison board. It was a fun project, but I eventually took it offline because I only had one Edison and running the logger meant I couldn't use the board to do other hardware experiments. I bought a second, smaller Edison board to fix the problem, but got side tracked with other projects and didn't get a chance to finish building the new logger until recently. This post goes through some of the hardware details of building the second version of my Edison-based ADS-B logger. In the previous version of the logger I used the Edison Arduino board. The board is large but has a number of useful built-in features (eg, a removable micro-sd storage, usb ports, Arduino pins, and a power jack). The other main Edison board Intel sells is a Breakout Board, which is very small and has just enough I/O for basic apps. I think I paid about $60 for it at Fry's. 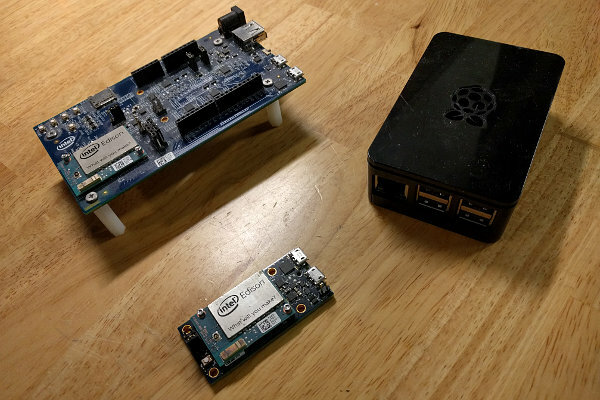 Both boards use the same Intel Edison module, which provides dual-core 32b x86, 1GB RAM, 2GB flash, 802.11, and BT. Similar to the Edison Arduino, the breakout board has two micro USB ports: one for Serial-to-USB and another that can be either a master or a slave (depending on power). The only other I/O on the breakout board is raw pads that you can solder wires to for interfacing with the Edison's micro connector. OTG USB Port: The easiest way to power the board is through the OTG USB port. The downside here is that doing so makes the USB controller boot up as a slave device. If you want the board to be the master, you have to use a different power option. DC: The J21 pins (bottom right in the above picture) let you plug in a DC source (7-15V). There's a voltage regulator on the pins to make the voltage right for the board. Battery: The J2 pins (top left) let you plug in a 3.7V Li-ion battery. There's circuitry that will charge the battery if you're powering from another source. The battery pins aren't an option if you want the Edison to be the bus master (ie, USB runs at 5V). Optional Barrel Connector: The board has pads on it for a standard barrel-connector power plug (which wall warts often use). Unfortunately, the breakout board does not come with the actual barrel connector, so it's up to you to buy it and solder it to the board (not hard, just a hassle). I initially hoped that I might be able to use a powered USB hub between the Edison and the RTL-SDR to power and connect both. Unfortunately, (1) hubs don't provide power to a USB master (duh) and (2) the breakout board makes the OTG USB port a slave unless you power from an external source. Since the battery port is only 3.7V (ie, not the 5V USB needs) and I didn't have a barrel connector, the only option for me was to rig something up to the J21 DC pins. I cut up the wires to an old wall wart, assembled an on/off switch for it, and then stuffed everything into an old film capsule. The breakout board's limited I/O was also annoying because what I really wanted to do was plug in an external device for storing the data to prevent my Edison's internal storage from getting worn out. The breakout board lacked the micro-sd slot the Edison Arduino had, and with only one USB port I'd need to use a hub to plug in both the RTL-SDR and a thumb drive. I did some tests and found that when connected to DC, the breakout board could provide enough power to run a hub, the RTL-SDR, and a USB stick. However, it all felt kind of junky. I decided to go with compactness and just write the data to the Edison's internal storage. Given that Intel seems to have abandoned Edison, I'm not too concerned about the flash on these boards lasting forever anymore. On the radio side of the project I decided to add a bandpass filter to see if it improved my range. FlightAware sells a $20 bandpass filter that attenuates everything outside of ADS-B's frequency range (1090MHz). Annoyingly, the filter has SMA connectors so I also had to buy SMA-to-MCX and SMA-to-Coax adapters. To make matters worse, I got the orientation of the filter backwards when I originally ordered the adapters, so I had to order a second set later with the genders reversed (a pair of adapters cost $10). I verified that the filter was attenuating the strength of other frequencies by booting up the gqrx app on my desktop and looking at radio stations. I don't have a way to get the real frequency response of the filter right now, but others have reported that it is wide enough to capture the family of frequencies plane watchers usually want. I used two RTL-SDR dongles to do some visual comparisons between the filtered and unfiltered ADS-B results. I pulled up the web interfaces for dump1090 on both SDRs and then compared the number of planes each observed. In my core visibility range, both systems seemed to capture the same plane info. The planes I tracked at the edge of my visibility tended to be seen more by the filtered line. For example, the filtered line followed one plane for an additional 20 miles (and recorded more data points than the unfiltered line when it could see it). This performance wasn't always perfect though- sometimes the unfiltered line would see an incoming plane before the filtered line. 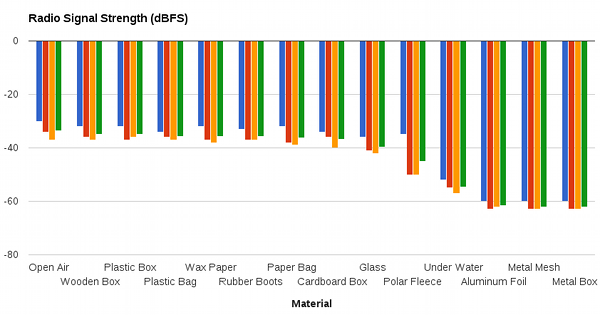 I'll need to gather some data and analyze it, but my initial impression is that the filter does work, but doesn't make a huge amount of difference in my case. I hooked up a power meter to get a rough estimate of how much power the Edison and RTL-SDR use when dump1090 is running. An idle Edison with 802.11 enabled and no peripherals consumes less than a watt. 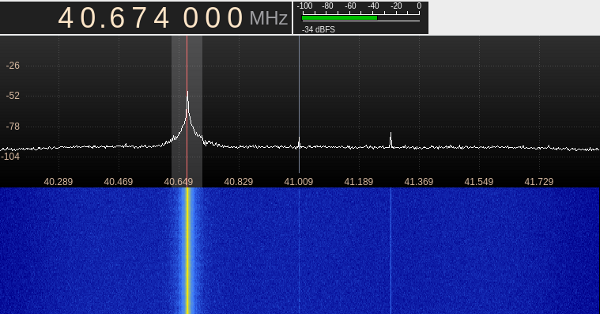 When I hook up the RTL-SDR and enable dump1090, the power is about 3.5W. I noticed that the RTL-SDR dongle got a little warm after being on all day, so I used my cheap-o infrared thermometer to get some estimates. The thermometer said the dongle was 112 degrees F in the hottest spot (center, where the air holes are). The Edison also hit 110 degrees F (right side of the silver Edison can). When probing the thermal sensors on the device (ie, via /sys/class/thermal/thermal_zoneX/temp), I see 14, 55, and 54 degrees C (or 57, 131, 129 degrees F). That seems hot to me, but then again the Edison is passively cooled. I've been running it like this for months without problems, so it seems ok. The Intel Edison is still a fine embedded board for building a data logger, but I've got to say that the breakout board's connectors disappointed me. It's stupid that they put in pads for a barrel jack but didn't populate it. Having only a single USB port also limits what I can do with the board. I'd hoped to make this a multi-purpose controller for the garage (eg, ADS-B monitor, webcam, temperature, etc), but to do that I'd need to add in a USB hub. The Raspberry Pi 3 is out now, and has built-in wireless and four USB ports. I'll probably change to that in the next version of things.